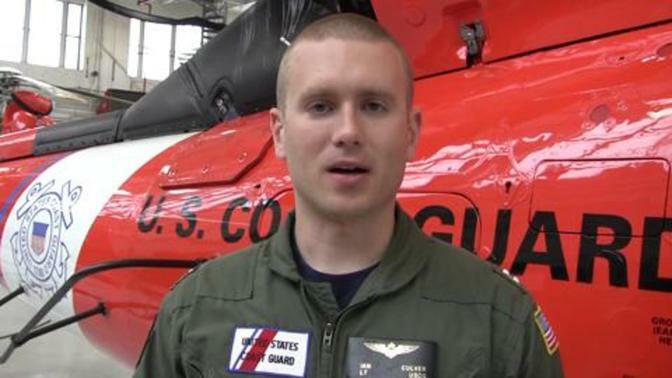 Ian, a lieutenant in the US Coast Guard, is a Search and Rescue helicopter pilot. He realized as a child that he loved helicopters and that all he wanted to do was fly them; Ian has managed to make his childhood dream into a career. Now he spends his typical day saving people in distress and protecting the environment and wildlife. The U.S. Military provides training and work experience in a variety of military careers. Members of the Armed Forces work in almost all occupations that are available to civilians in addition to occupations that are specific to the military. Service men and women serve on active duty in the Army, Navy, Air Force, and Marine Corps, or in the Reserve components of these branches, and the Air National Guard and Army National Guard. The Coast Guard is part of the Department of Homeland Security. Applicants must meet age, educational, aptitude, physical, and character requirements, which vary by branch of service and between officers and enlisted members. Members are assigned an occupational specialty based on their aptitude, former training, and the needs of their branch of service. All service members must sign a contract and commit to a minimum term of service. Officers usually need a bachelor's or graduate degree. Depending on the occupational specialty, members of the military may be eligible for civilian certifications. many of which are similar to civilian occupations.